Our name is listed with trusted Manufacturers and Suppliers of quality-tested range of Cast Stretch Manual Wrap Films. The large variety of Cast Stretch Manual Wrap Films, we offer, is used in varied commercial and industrial applications to package cartons, equipment and heavy boxes. Our Cast Stretch Manual Wrap Films are available in variants such as transparent white and colored films. 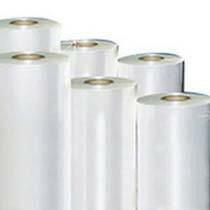 Our regular as well as customized Cast Stretch Manual Wrap Films have high strength.